Abilene had a big win in June 1995 game and Beban Perez helped them get there. The Abilene Prairie Dogs ended with a 12-6 win over rival Pueblo. Perez' contributions consisted of three hits, a run scored and two RBI, according to The Pueblo Chieftain. That season was Perez' eighth as a pro. It was also his last. Perez made it as high as AA in a career where he spent time as both a position player and as a pitcher. He never made the majors. Perez' career began in 1987, signed by the Yankees as a free agent out of his native Dominican Republic. Perez started with the Yankees in the rookie Gulf Coast League playing the outfield. He got into 52 games and hit .250. He returned to the GCL for 1988. He got into just 30 games and hit .241. Perez moved to the Angels system and single-A Quad City for 1989. He hit .287 over 93 games. He stole 14 bases and had 18 RBI. 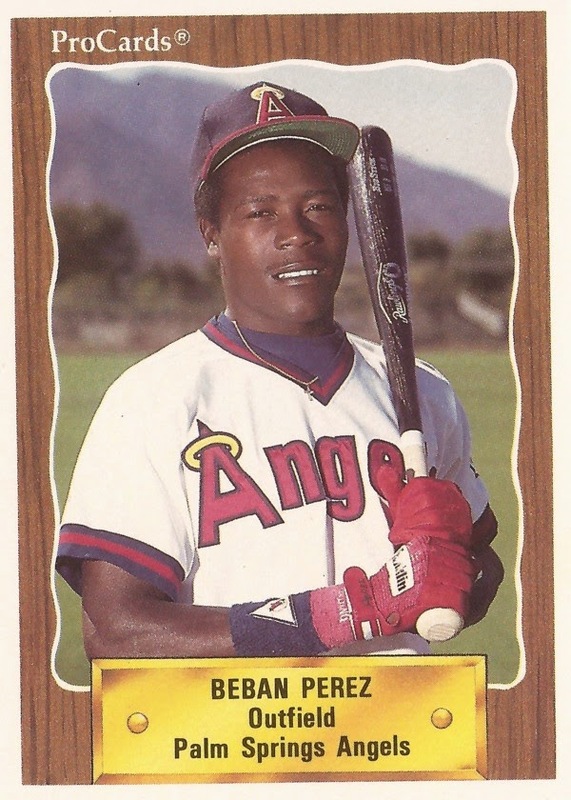 For 1990, Perez played at high-A Palm Springs, hitting .298. He had a double in an April game. He returned there for 17 more games in 1991. He then tried his hand at pitching. He played 1992 on the mound, splitting time between Quad City and short-season Boise. He got into 25 games in all, starting five of them. He picked up three wins and one save. His ERA came in at 5.76. Perez returned to Palm Spring for 1993. He got into 33 outings there, with a 5.11 ERA. He also got three outings at AA Midland. He gave up eight earned in 3.2 innings there. It was his final year in affiliated ball. After not being recorded as playing in 1994, Perez returned for 1995 with independent Abilene. He also returned to the outfield. He hit .293 in 78 games. It was his final season as a pro.